(Natural News) It is astounding to think that in only a few decades, the rate of antidepressant use in our country has risen by 400 percent. Statistics taken from the federal government show that nearly one in every 10 Americans take an antidepressant, making this particular class of drugs the third most common prescription medication in the U.S. in 2005-2008. Its popularity, however, is tainted with misuse, abuse, and inefficacy. Depression is not a modern disease, regardless of what Big Pharma says. 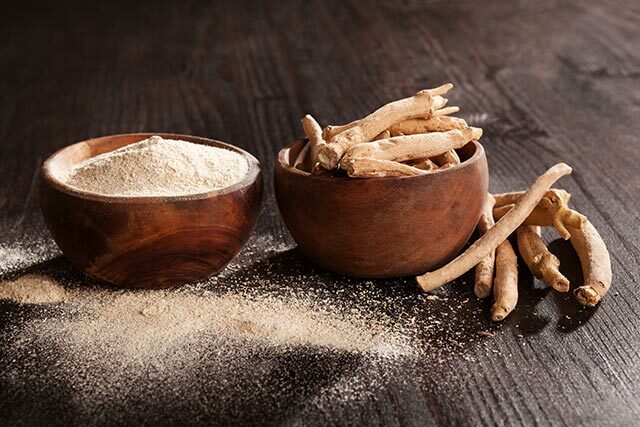 You’d be surprised to learn that traditional medicine systems have treated depression safely and effectively for centuries using natural substances. Furthermore, these supplements have almost none of the adverse effects associated with conventional antidepressants. We’ve compiled some of the best herbs that have been traditionally used to treat depression in every culture. The best part? All of these herbs have been scientifically proven to be effective. Arctic root (Rhodiola rosea) is also known as “roseroot” or “golden root.” It grows profusely in cold areas (thus the name) and is mostly found in Northern Europe and in the mountains of central China. Several studies have classified Arctic root as a superb adaptogen, or a substance that increases your resilience to physical and emotional stress. Data show that this herb significantly reduces the effects of stress in the body by strengthening the immune system. This makes it less likely for a person to fall prey to the negative effects of chronic stress. Adding to this preventive measure, Arctic root has been studied to increase the number and activity of brain chemicals that affect your mood such as serotonin, dopamine, and norepinephrine. These neurotransmitters are known to play a direct role in how you feel and your risk of depression and anxiety. R.Rosea has an excellent safety profile, being safe and well-tolerated by most patients. Withania somnifera is one of the most important herbs in Ayurveda. It is highly recommended for people who are constantly stressed and have high levels of cortisol (the stress hormone) in the body. A study published in the Indian Journal of Psychological Medicine concluded that ashwaghanda can lower cortisol levels by 28 percent. Another study found that patients who regularly took ashwaghanda reported a dramatic 72 percent reduction in test parameters that measured both depression and anxiety. More impressive was the observation that these patients reported not only feeling less stressed but more mentally calm and relaxed. Curcumin is the main active ingredient in turmeric which is renowned for its anti-inflammatory properties. Modern research is hypothesizing that the main cause of depression is chronic inflammation. Thus, reducing the severity of inflammation in the body may reduce the depression symptoms. Several studies have found that curcumin is just as effective for depression as Prozac and is highly beneficial for patients diagnosed with obsessive-compulsive disorder. Ginkgo is another adaptogenic herb that reduces stress and anxiety by lowering the levels of cortisol. Ginkgo is traditionally used to boost memory, but recent research has concluded that it may also be used to increase the blood flow to the brain and enhance the turnover of dopamine and serotonin. The exact mechanism behind its antidepressant effect is still not yet fully understood. However, initial findings suggest that this spice enhances mood by acting on serotonin metabolism. Saffron has also been found to be helpful for anxiety, stress, and premenstrual syndrome (PMS). Depression may also be caused by a vitamin deficiency. Your brain cannot operate at its peak when essential nutrients are missing. Some of the most important vitamins you can take for optimum brain health include vitamin B6 (pyridoxine), vitamin B9 (folate), and vitamin C (ascorbic acid).